I love avocados. Love them. But dare I say it I’m suffering from death by avocado. At most brunch spots, a certain creamy green fruit will be taking prime positioning on the menu. 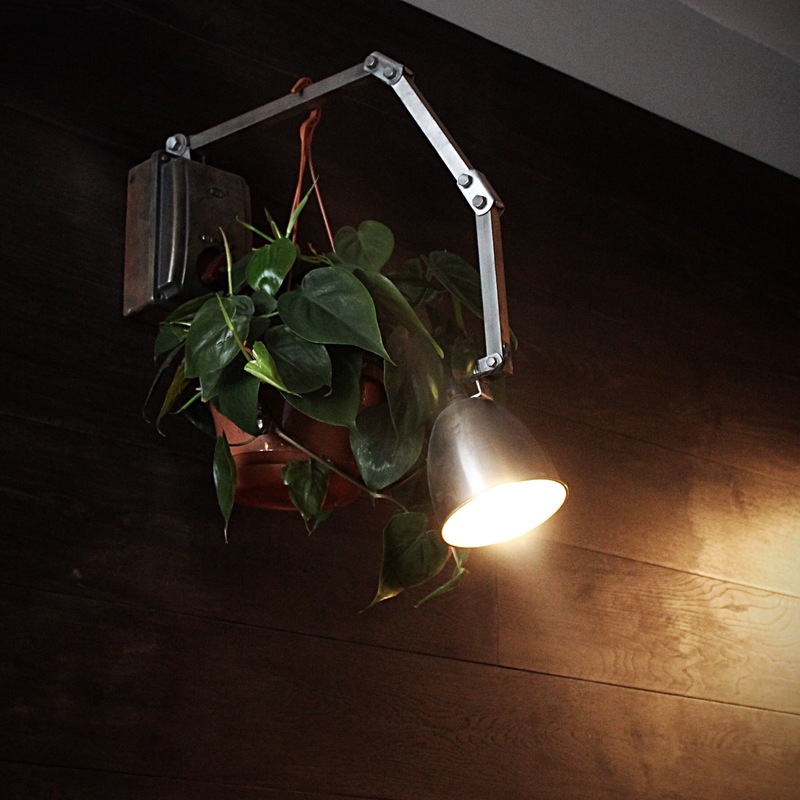 Louisiana specialists Decatur are looking to change this. 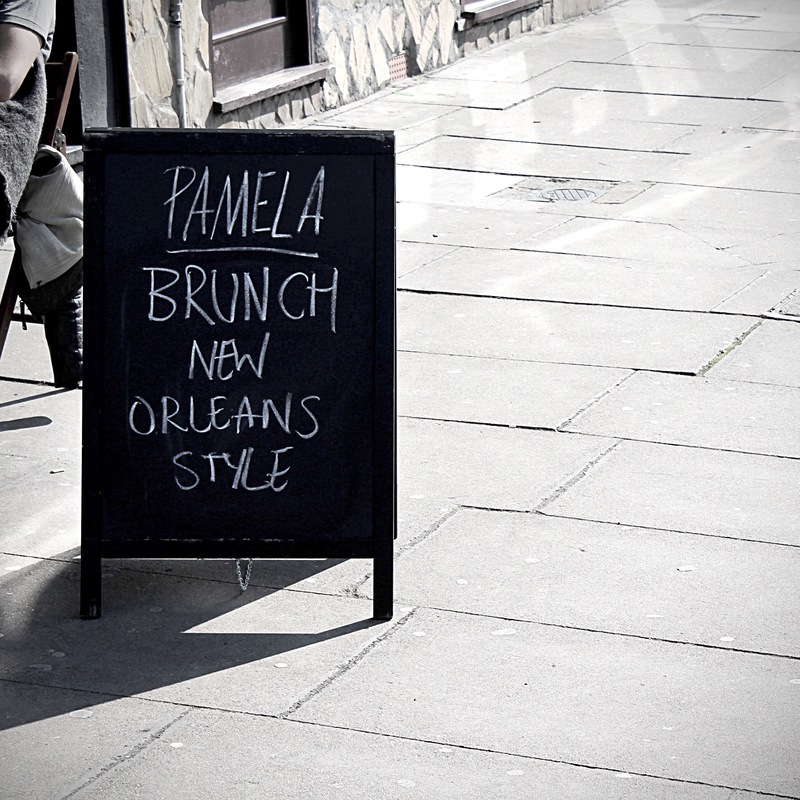 Cajun and creole food can be found at Pamela, a cool video bar sandwiched between Haggerston and Dalston. American food trends such as Texan BBQ, chilli dogs and recently fried chicken has found its space in the London food scene. However NOLA cuisine is slowly taking off and Decatur is setting the bar high for everyone else. 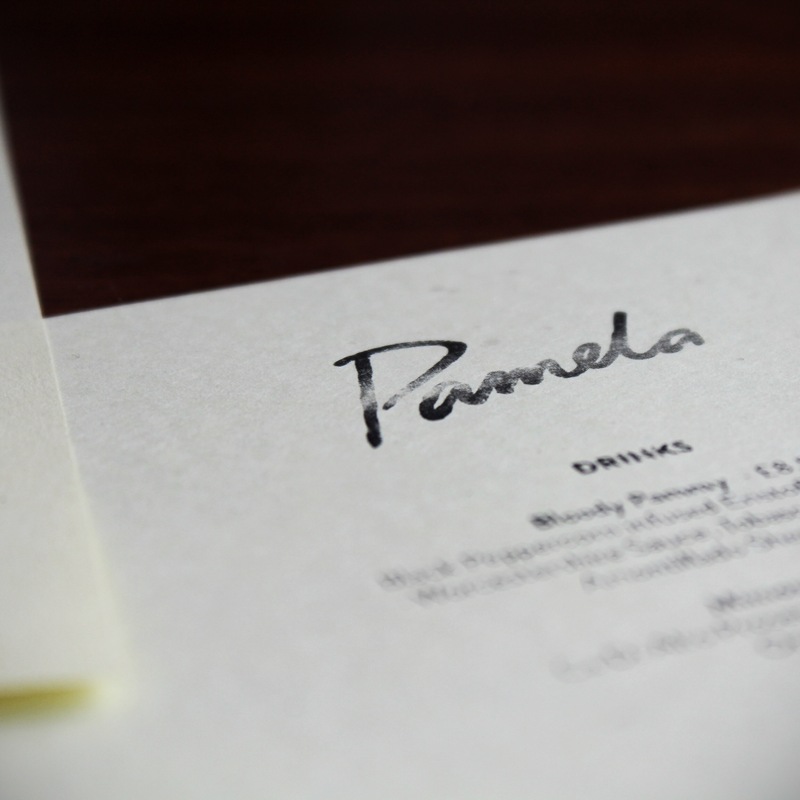 Once you enter Pamela, you could be mistaken for having gone back in time to 90s LA with overhanging green plants, Motown hits lingering in the background and minimal furniture decorating this space. First thing I.need.a.coffee as I’m always tired on the am side of midday. 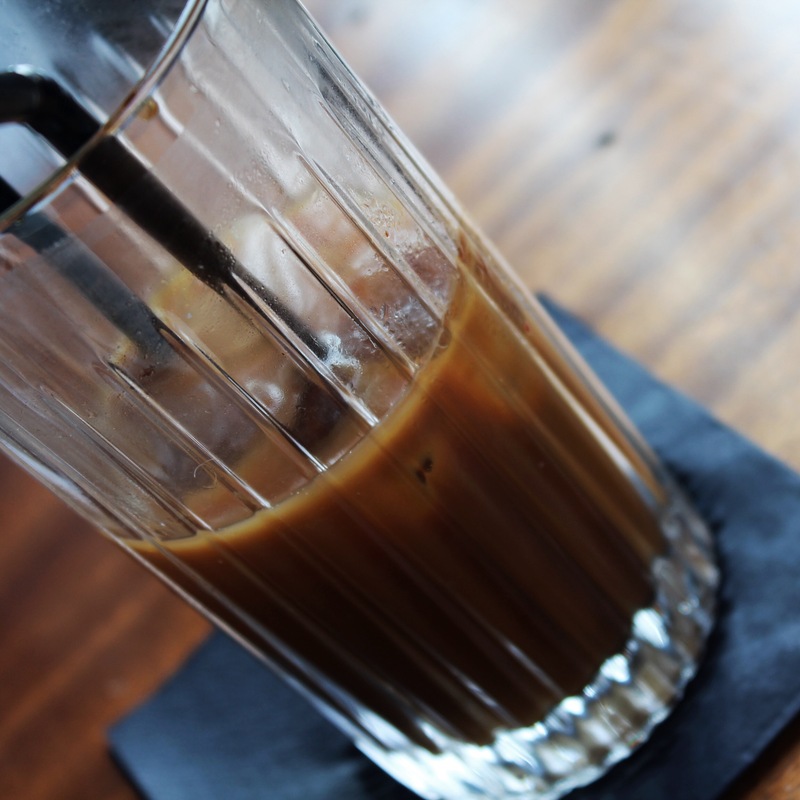 We sip on Chicory Cold Brew Coffee with Cane Molasses which were a delicious pick me up. 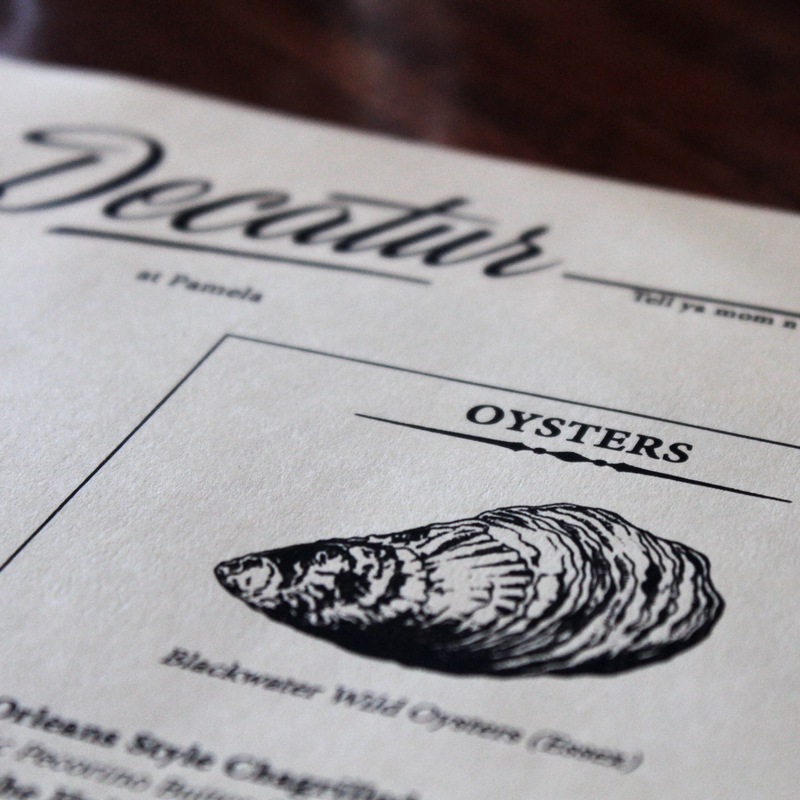 Decatur’s speciality is the chargrilled oysters topped with butter, garlic, lemon juice, cajun spices and flecks of parsley. 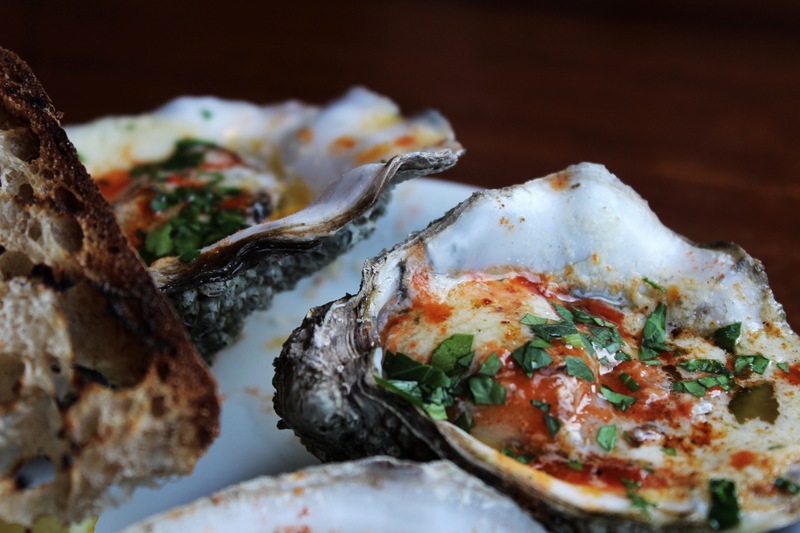 Before you scream that is illegal and oysters should be served fresh from the depths of the sea, try these bad boys and I promise you that you can’t eat them any other way again. Once cooked, they taste similar to mussels and with the bread served on the side, soak up those juices. 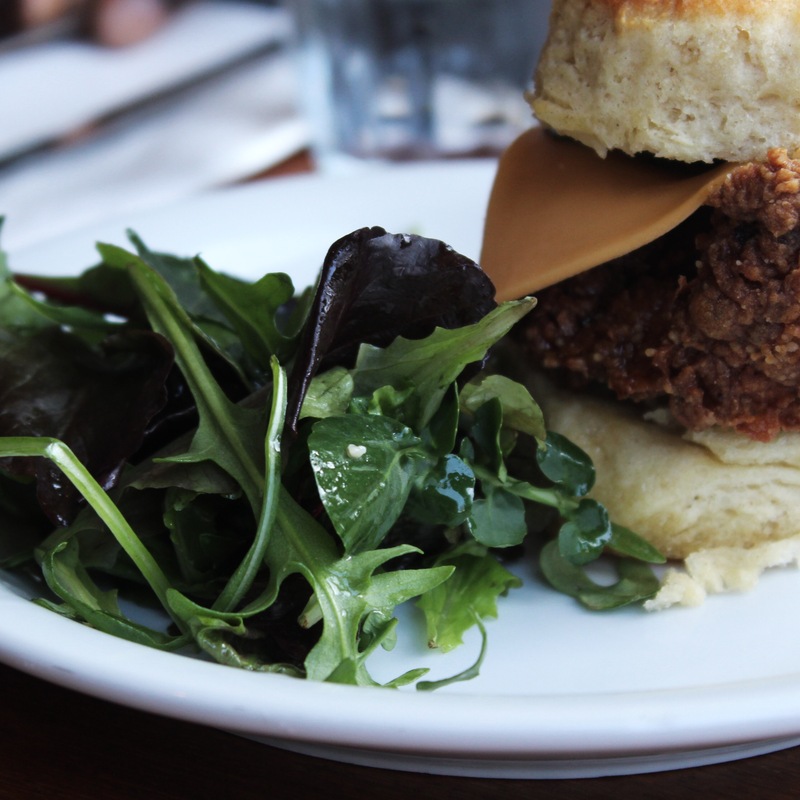 The minute I saw the menu, my eyes zoned into the fried chicken biscuit. 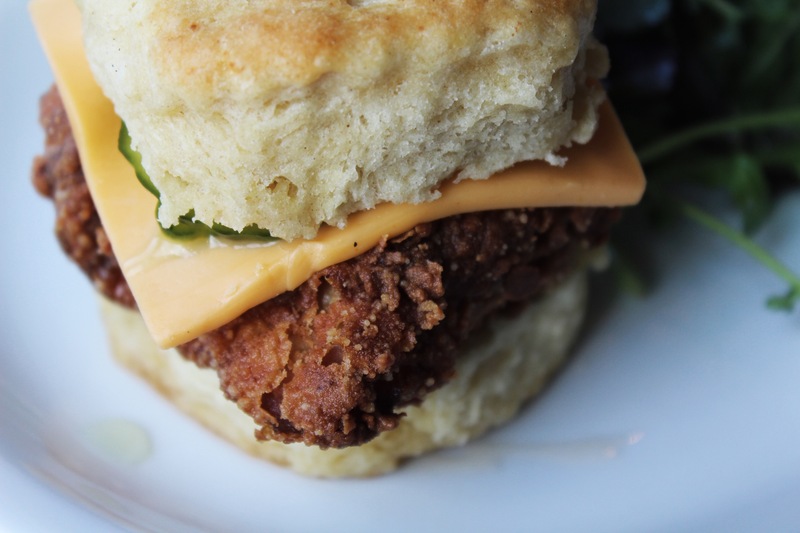 A biscuit is an American version of a savoury scone but naughtier as its often stuffed with fried chicken and gravy. Dining at a southern spot it is a must have to try good ole fried chicken and I wasn’t going to relinquish this opportunity. Man, I made the right decision. The fried chicken wasn’t greasy or oily. It was perfectly crispy yet the chicken was juicy and moist. The biscuit was soft and crumbly which meant you have to quickly stuff it into your mouth before it disintegrates into your hands. My boy ordered the Omlette Pont-Breaux. 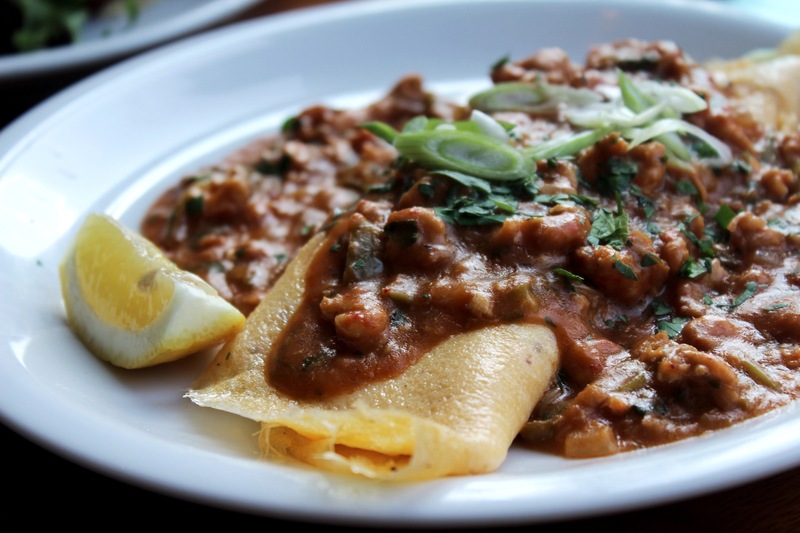 The star of this dish is the fresh crawfish étouffée, sprinkled with herbs and spring onion. The flavours were amazing and of course I helped myself to a few bites! 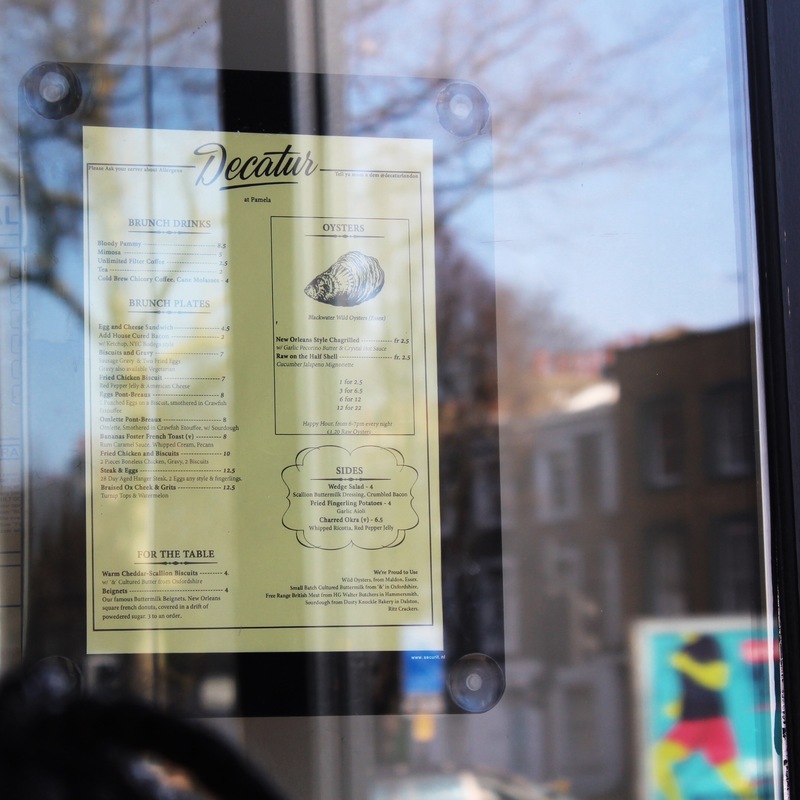 Decatur is a great alternative brunch spot to try this Easter bank holiday weekend. Dishes are reasonably priced and luckily, no sign of an avocado. 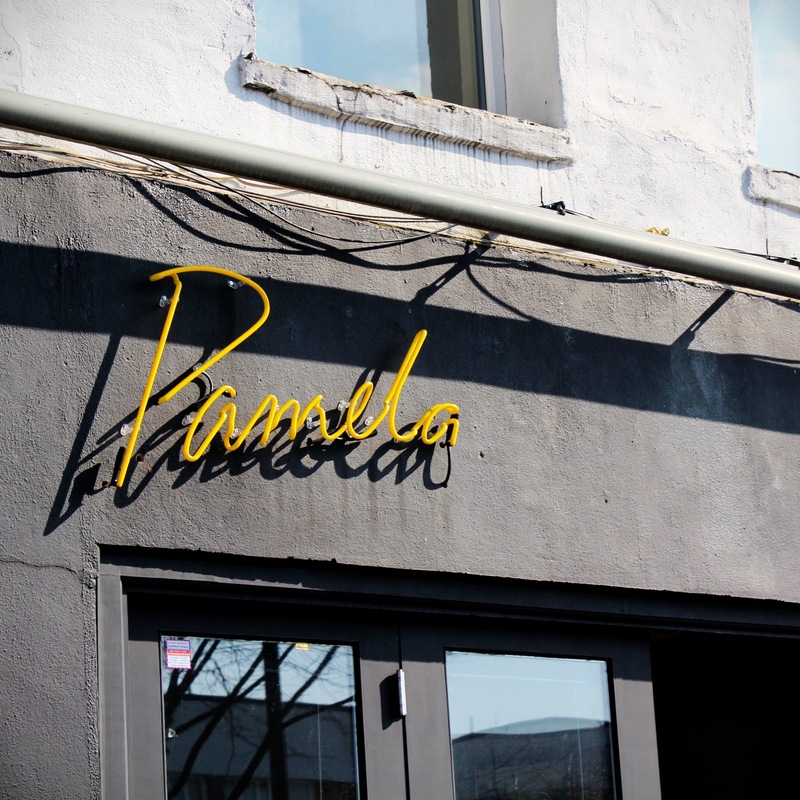 Decatur @ Pamela – 428 Kingsland Rd, London E8 4AA.